Flowboard is the next generation presentation and storytelling platform for iPad. Flowboard allows anyone to create interactive publications with text, images, video and links that feel like mini apps on the iPad or play anywhere within the Flowboard web player. 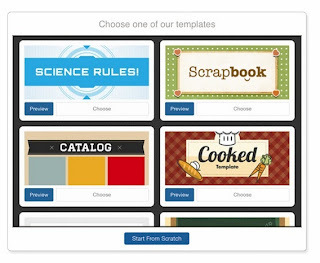 The free app comes with 19 different templates, or an option to create a project from scratch. 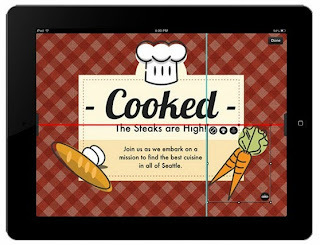 So, the next time you want to create a digital scrapbook, or have to create a presentation, give Flowboard on your iPad a try. With Flowboard, you will create stunning presentations right from your iPad, using just a few simple gestures. You will bring words, images, and videos together to make compelling stories that captivate your viewers. Flowboard presentations are dynamic and interactive. Exploring a Flowboard feels natural and fluid, and presenting your Flowboard is like using a beautiful mobile app to share your ideas. 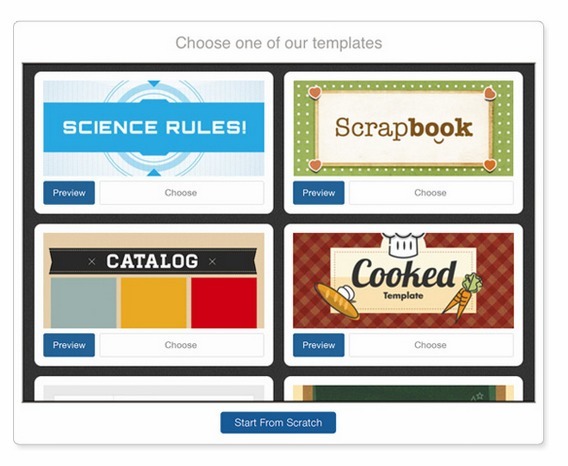 When you begin creating your Flowboard, you can start from scratch or choose from one of our beautiful templates. Each template is designed to get your creative juices flowing and to show you how easy it is to make your ideas elegant and engaging with Flowboard. Our design team is constantly coming up with new templates so that you will always have a fresh and exciting place to start creating. Make your Flowboard presentation fun to explore. Add links and navigation to encourage viewers to interact with your ideas and to follow their interests. 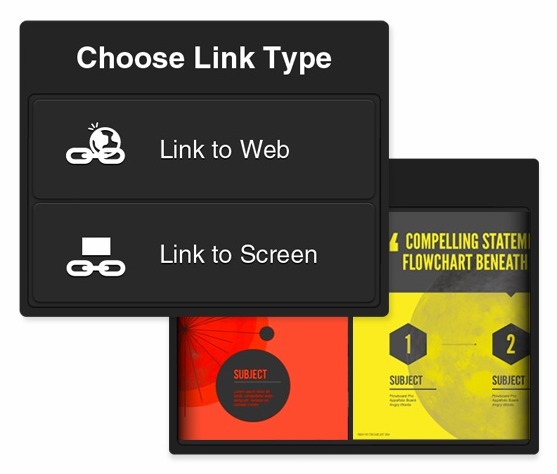 Also, don’t hesitate to add external web links; your viewers will be able to explore them without leaving your presentation. 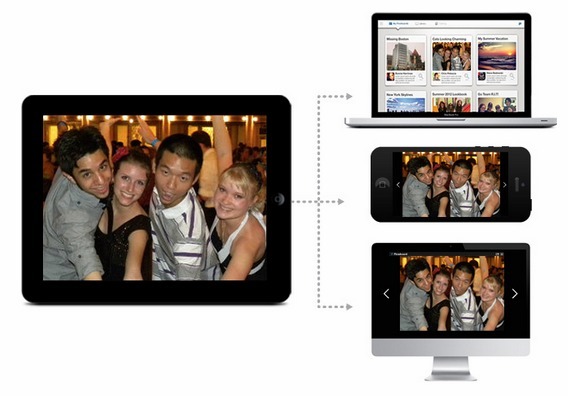 Flowboard allows you to easily find, place, and crop images. 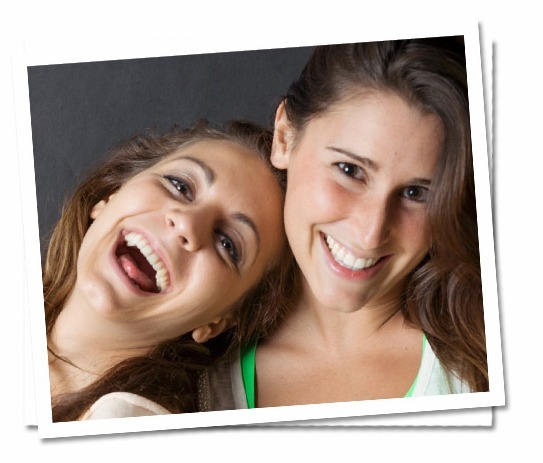 You can also use collections of images to create rich galleries with captions to tell your story. Video When you want to deeply engage your viewers in an idea, or simply transport them to another place altogether, nothing beats a short video clip. 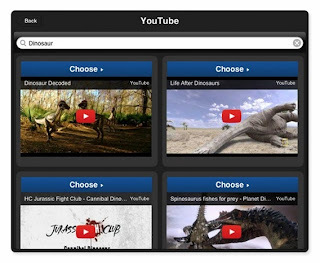 With Flowboard, you can embed videos for offline viewing to guarantee that they always play, no matter where you are. Also, we have built-in YouTube Search to make it easy to find streaming video content that will complete your presentation. 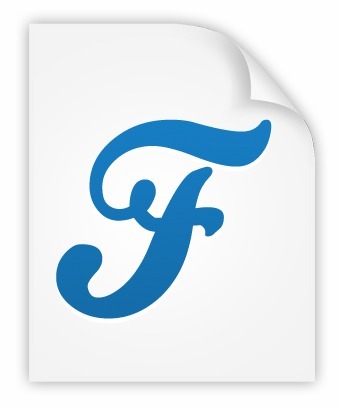 At some point during your presentation, you may want to jump into an old PowerPoint or other document. 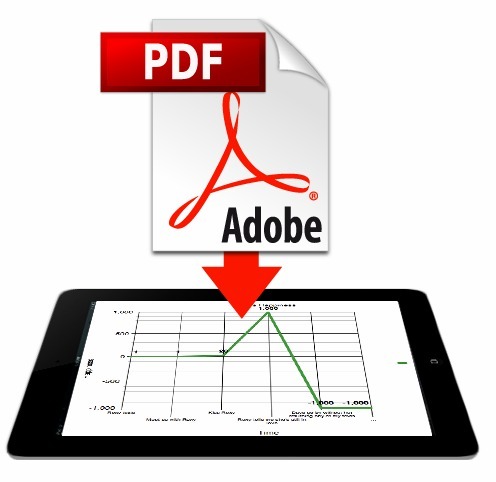 For times like this, you can simply export your document as a PDF and embed it in your Flowboard presentation. You can then launch into it, while presenting, with a single tap. Flowboards are made to be seen, and sharing your Flowboard only takes a moment. 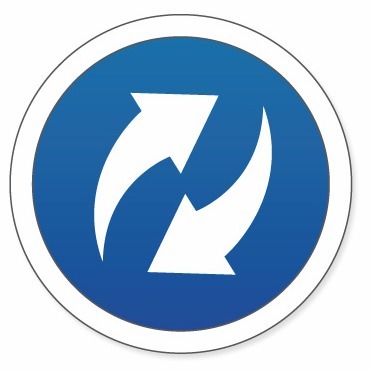 Each Flowboard that you publish gets a unique URL that can be shared to individuals, or to your entire social network, by sending or posting a link. Also, you can embed your Flowboard on your blog or website by simply pasting a string of embed code. 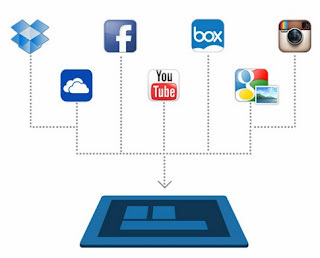 Flowboard connects you to your content in the cloud so that you can begin building right away. 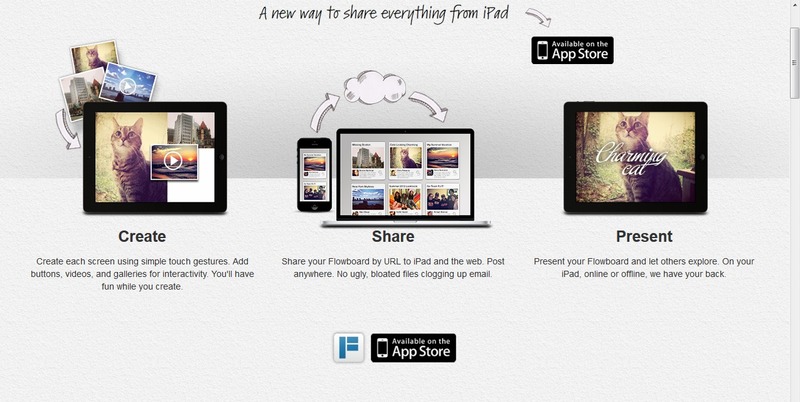 With Flowboard, you never have to think about how to import files to your iPad. Part of what makes the iPad feel so natural is the sense of control that you have over your content. Flowboard takes this to the next level with intelligent Snap Guides, making it easy to place each word and picture with pixel-perfect precision. There are no mistakes, only creative experiments. With multiple levels of Undo and Redo, you’ll be able to try out all of your most expressive ideas without fear of losing your work. Not every idea will make the final cut, but nothing brilliant ever came to life without a little trial and error. Ideas are beautiful and words should be too. We’ve included a collection of professional fonts that will make your words look as brilliant as your thoughts. Pretty amazing tool going to look into it thanks for sharing.